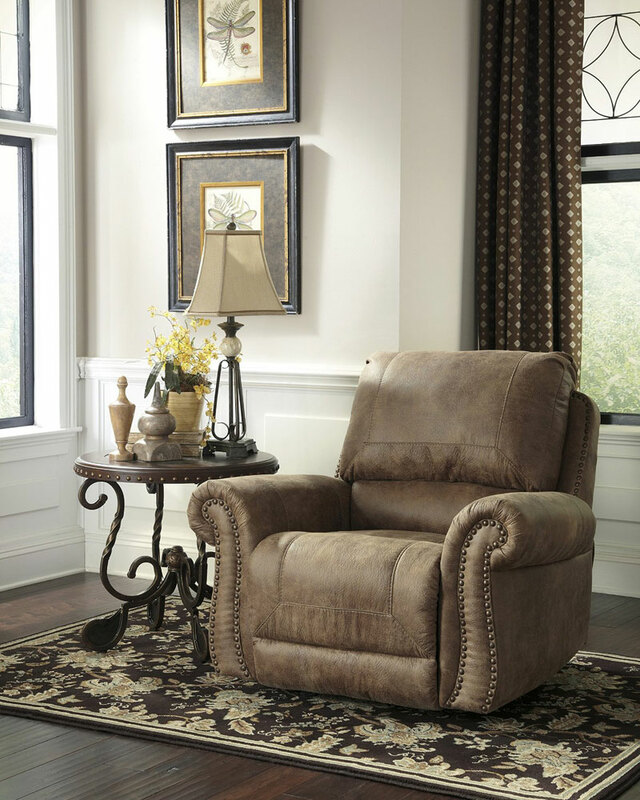 The Exhilaration Collection Oversized Power Recliner has space and comfort to spare! 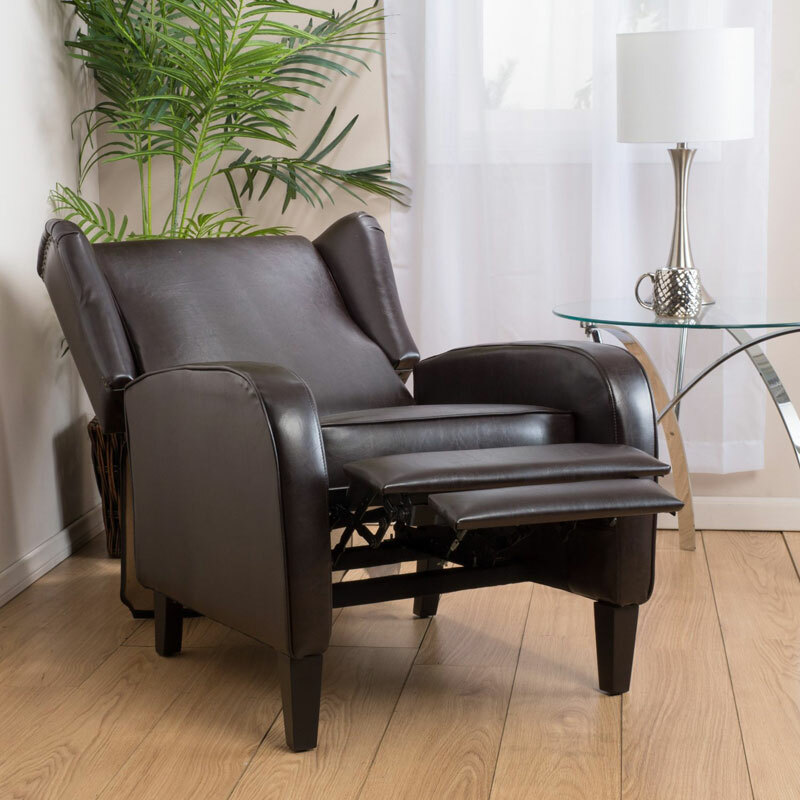 When looking for a piece of furniture to make your home that much more comfortable, a chair and a half recliner is tough to beat. Chair and a half models give you more width than standard ones, just as the name indicates. This makes it so you have more space to get cozy, or so that you can potentially double up on the recliner with a loved one. We’ve compiled a list of some of the most popular chair and a half recliner options. You can get a quick overview of their main features in the comparison chart below. Continue reading after the chart to get more details on a selected few models. Hopefully the comparison chart above is useful in getting a quick sense of the variety of chair and a half recliners that are available at different price ranges. Below we’ll highlight a few favorites and go into more detail about what makes them popular choices. 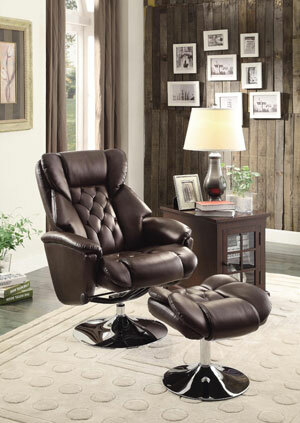 The Signature Design by Ashley 4240182 Exhilaration Collection Oversized Power Recliner is a mac daddy leather chair and a half recliner. This thing is huge and luxurious! Measuring 59 by 42 by 39 inches, this model gives you plenty of room for kicking back. 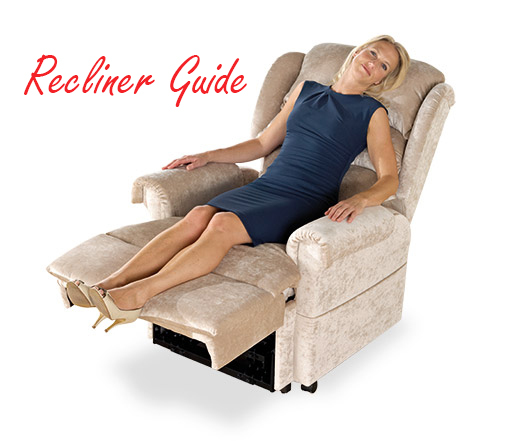 This model is a power recliner. This means that the reclining function happens via pushing a button and that the chair must be plugged in for the reclining feature to be available. This chair is firm, yet comfortable. It features high-resiliency foam cushions to give the seat a plush feel, and the tufted leather upholstery adds a smooth finish. The luxe look and feel of this chair does come at a premium price, making this model the most expensive on our list. This chair just looks like its inviting you to take a seat. 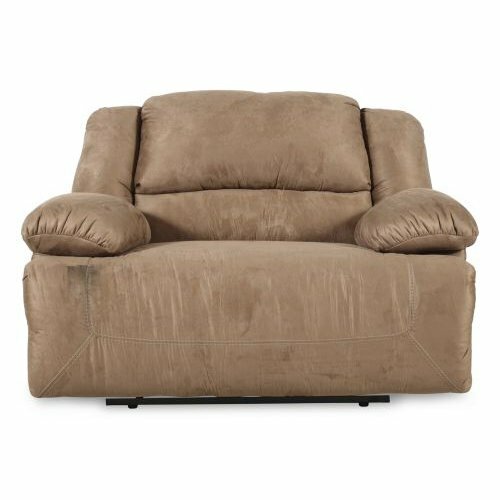 The Hogan Mocha Zero Wall Recliner with Wide Seat Box boasts a bustle back design and pillow top arms, and is plushly padded. It also comes in a very neutral tan to coordinate with a variety of home color schemes. It measures 59 inches wide by 44 inches deep by 41 inches high. This oversized model is unique in that it takes up little extra space when reclined. 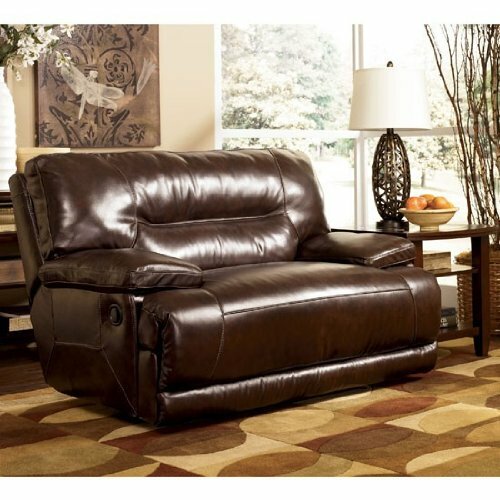 Its reclining mechanism features multiple positions so you can adjust to wherever you’re most comfortable. While this model overall has garnered positive feedback, there are some complaints that this model is not as durable as would be ideal. 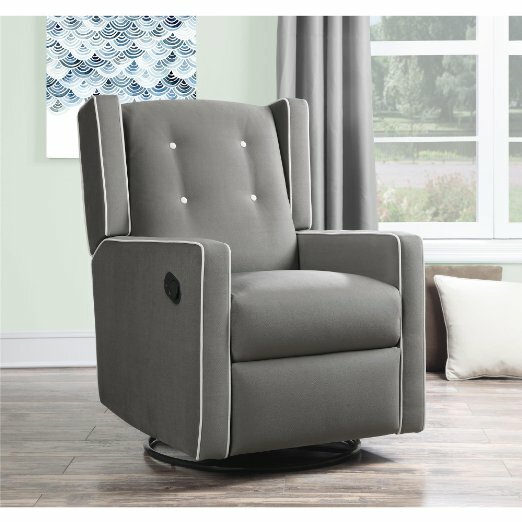 The Signature Design By Ashley Tallow Rocker Recliner is the smallest of our featured chair and a half recliners, measuring 40 by 43 by 40 inches. While this chair provides plenty of room for one person, this model is likely not suitable for sitting two people at one time. The aesthetics of this chair are lovely. 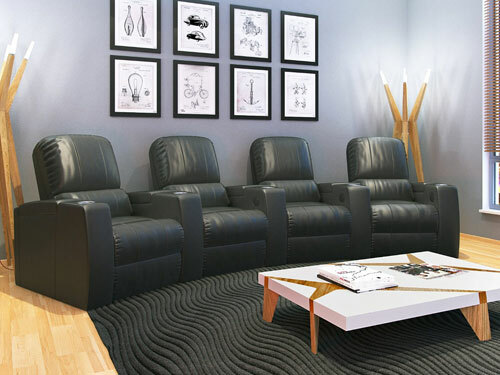 It features a beautiful classic shape that is upholstered with PU leather, and is accented by nail head trim. The color, which Ashley calls “Earth,” is an attractive neutral tone that can blend seamlessly in nearly any home design. The upholstery is very soft and comfortable. As another bonus, this chair’s PU leather upholstery had been pre-approved for wear and durability against AHFA standards. Jordan is a fan of all things cozy. Give her a good book, some coffee, and a recliner to enjoy them in and she's in paradise!